Three years after Mad Men’s last episode screened, its creator Matthew Weiner is back with a new star-studded show that proves Amazon is throwing its money and energy at blockbuster shows. Premiering on October 12, The Romanoffs is an anthology series with eight stand-alone episodes. And there’s not a mid-century chair or a weighty glass ashtray in sight, if the just-released trailer is anything to go by. The Dark Knight’s Aaron Eckhart, Golden Globe winner Isabelle Huppert, Office Space’s Ron Livingston and Oscar nominee Diane Lane are all involved, as is former ER heart-throb Noah Wyle and Mad About You comedian Paul Reiser. Mad Men’s Christina Hendricks and John Slattery also star. Reportedly costing Amazon around $94 million – that’s nearly $12 million per episode – the show will be filmed on three different continents. It has an historical flavour but isn’t a period piece. Each episode features modern-era people who believe they’re descendants of the last Russian royal family, the Romanovs, according to The Hollywood Reporter. The Romanov family ruled Russia from the 17th century until they were murdered en masse by Bolshevik revolutionaries in July 1918, exactly 100 years ago. The most famous Romanov legend – that Tsar Nicholas’s daughter Anastasia allegedly survived the extermination of her entire family in a basement – will be one of those examined, according to reports. Going on the trailer, which is heavier on budget details than plot twists, it’s a safe bet that the lineage of central characters won’t be clear-cut. The Romanoffs follows Jack Ryan, Amazon’s first big series for the second half of 2018, and will be a strong test of whether major investment in lavish productions pays off. Amazon “wants shows that are virtually guaranteed to get international buzz and critical acclaim”. reported American technology news and media network The Verge. Weiner, who inked the deal for The Romanoffs two years ago, told The Hollywood Reporter last March that “the storytelling” is the major difference between the iconic Mad Men and his new project . “No one’s coming back week to week, which is a very different way to tell a story for someone who has had continuing characters who changed,” he said. The Russian Imperial Romanov family – Tsar Nicholas II, Tsarina Alexandra and their children Olga, Tatiana, Maria, Anastasia, and Alexei – were shot, bayoneted and beaten to death in Yekaterinburg. Their bodies were taken to a nearby forest, then stripped and mutilated before being tossed down a mineshaft. Later, they were buried in unmarked graves. The Bolsheviks only announced the Tsar’s death, saying his wife and son were “sent to a secure place”. After years of denials about the assassinations, the murders were acknowledged in 1926 but the lack of detail about the circumstances led to impostors emerging, claiming they were family members. In 1979, the burial site was discovered, but the finding of the remains was announced only 10 years later, with the identities of the family confirmed by forensic and DNA investigation. But the bodies of two Romanov children – Alexei and one of his sisters – were missing from the grave, leading to rumours that they had survived. 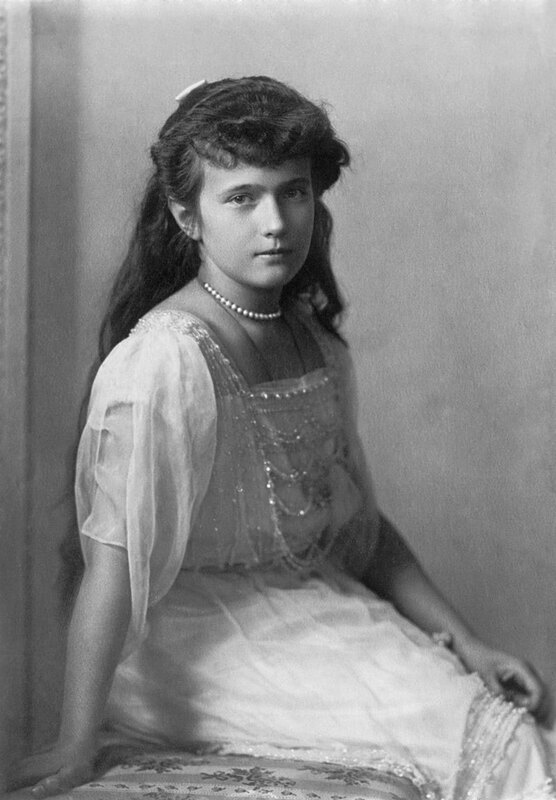 Grand Duchess Anastasia was 17 when she was killed. Persistent rumours circulated for decades that youngest daughter Anastasia possibly escaped, with women falsely claiming to be the grand duchess. The best-known impostor was Anna Anderson. In 1922, her claims she was Anastasia began gaining notoriety. Five years later, a private investigation funded by the Tsarina’s brother, Ernest Louis, Grand Duke of Hesse, identified Anderson as Franziska Schanzkowska, a Polish factory worker with a history of mental illness. DNA testing 10 years after her 1984 death proved she was not related to the Romanov family. But the speculation spawned numerous TV shows, documentaries and movies including 1986’s Anastasia: The Mystery of Anna and 1997 animated film Anastasia. The puzzle was laid to rest in 2007, when a second smaller grave containing the remains of the two children missing from the family grave was found.